Going back to school can be extra stressful for children with an autism spectrum disorder (ASD). People with ASD often have greater difficulty with transitions. This may be due to a greater need for predictability and routine, challenges in understanding what is coming next, or difficulty when a pattern of behavior is disrupted. 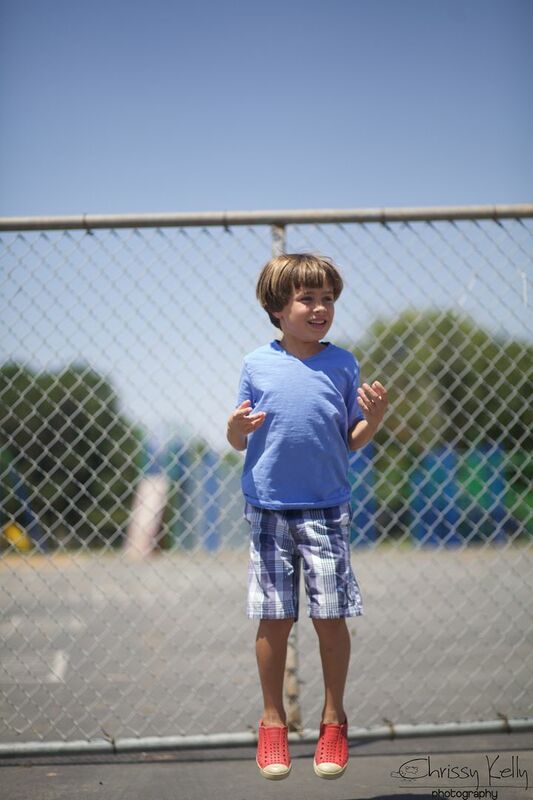 Transition strategies can reduce anxiety, increase appropriate behavior and help students participate successfully in their school environment by making a more gradual entrance. Here are some things we do to help with the back to school transition. A couple of weeks before school starts, we go to visit, hang out on campus and discuss the upcoming change. We talk about the end of Summer and the beginning of a new school year. 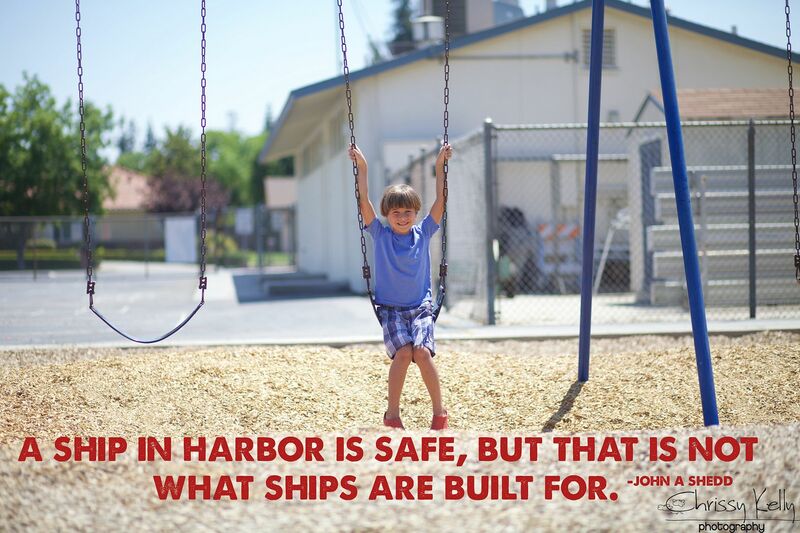 If the school has a playground, that's a perfect non threatening environment for your child to acclimate to the space again. Some Teachers are available and open to a meet and greet, where you and your child can come visit the classroom and meet the teacher before school begins to take some pressure off the first day. There are several research based, visual strategies that are used to support individuals with ASD in preparation for a transition. One of our favorite ways to prepare for the unexpected is by using Social Stories. This tool is a great way to identify a concern and develop a story that supports the desired outcome. The stories are written from a child's perspective using language that is appropriate for that child's development. I write in the Third person because Greyson is not yet familiar with pronouns like me, my and I. Your story should address any specific strengths and deficits your child may encounter during the school day, while always creating a positive outcome. For example, if your child has difficulty eating lunch in the cafeteria due to the volume, you can remind them of self regulation strategies that have been successful in the past. A page in your story might say, "Tommy does not like the loud noises at lunch. If it's too loud, he can cover his ears, or ask Teacher for his head phones to wear so that he can eat lunch comfortably with his friends. If the noise is still too much, Tommy can ask to finish eating outside." Be sure and address any of your child's concerns, whether it be sensory, social, transitioning etc. 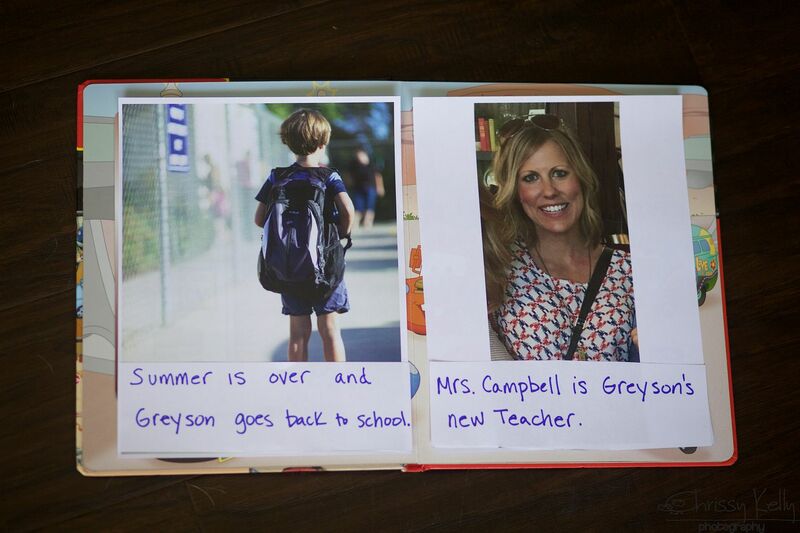 Greyson really looks forward to school recess, so our story will remind him of that preferred activity. 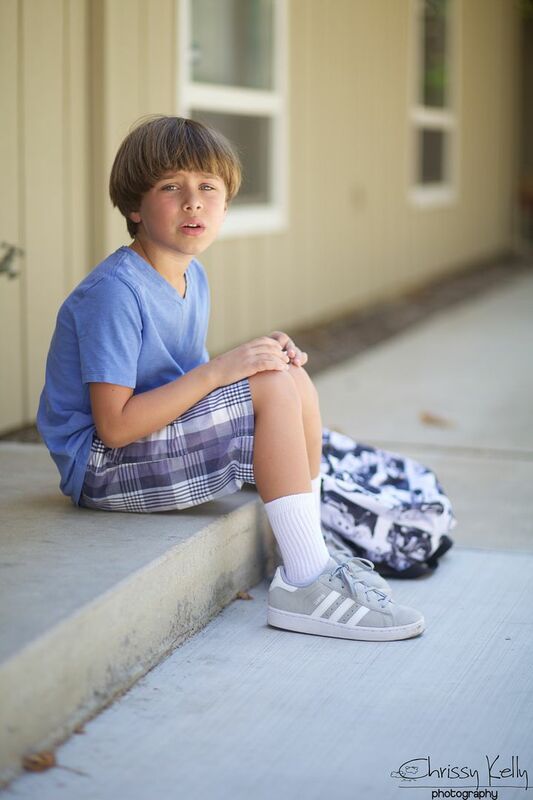 "After lunch, Greyson has so much fun playing on the playground and climbing the monkey bars." Social Stories are great visual strategy to help a child organize and interpret events, know what to expect, as well as develop a better ability to self regulate. Reading the story nightly for a few weeks before school begins can help alleviate some of the anxiety associated with the upcoming change. There's nothing worse than stiff, brand new shoes or a scratchy shirt tag. But to a child with autism and sensory issues, these things have the potential to ruin their day and seriously impede their ability to learn and adjust. Break in new shoes and clothing before school begins. If you can, have your child use and wear these items for a few weeks before their first day. Depending on how much routine your child needs, you may want to use a new lunchbox or back pack several times leading up to the start of school. Part of building a good relationship between school and family is communication. I know this tool helps put my Mommy transition anxiety at ease, and it also helps to set your child up for success. A frequently used writing tool for home-to-school communication is a notebook the child carries home daily. This is our notebook from last year. 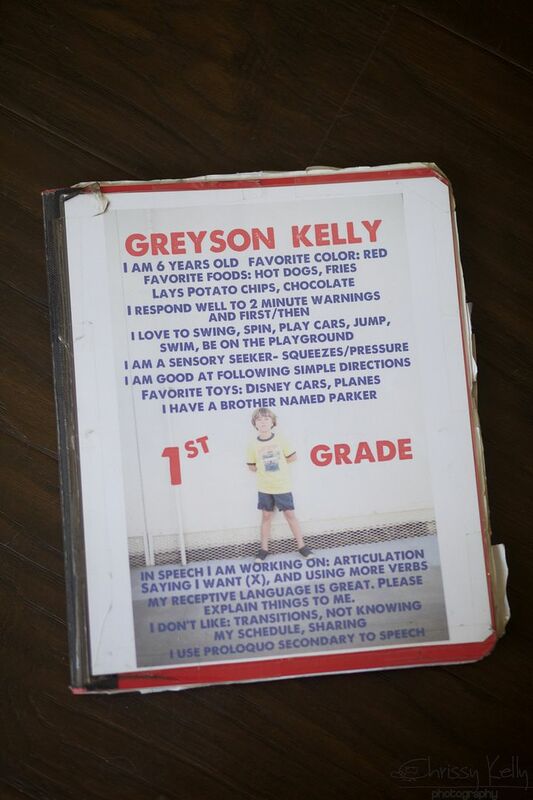 I put a picture of Greyson and share some information about him for the Teacher and aids. You can also put your contact information and email on the inside cover so the Teacher has quick access. The most successful models contain a two way exchange of information. Just as we desire to know what our child is doing at school, the teachers desire to know if there is any information about your child that may affect them at school. Perhaps your son has been crying frequently, or your daughter woke up at 4am and hasn't gone back to bed. Those are the types of things important for a teacher to know. Make sure your child's teacher is willing and able to contribute to this method of communication, and be sure and let them know what kind of information, and the frequency you are looking for. Each parent is so different and their request for information (ie child's behaviors, activities or therapies worked on, Speech notes, lunch eaten, mood etc.) is unique. Your child's Teacher may already have a form they use for meaningful daily communication. Establishing a trusting relationship is critical, especially when working through challenges that may occur during the school year. Healthy communication is key to this important relationship. Despite all the planning and execution, it often takes a few weeks for both students, Teachers and parents to fall into a working routine, so be prepared for a few kinks along the way. As a mother, I know how hard it is to let your child out into the world. Especially if they don't have the verbal ability to tell you about their day. But sometimes we must simply let go, and let them share their awesomeness with the rest of the world.